Home » Qatar Channels » Qatar Channel frequency on Eutelsat 7 West A Satellite. (New 2019) Qatar Channel frequency on Eutelsat 7 West A Satellite. 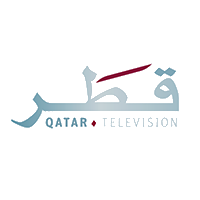 The Qatar TV Channel frequency on Eutelsat 7 West A Satellite last updated on 2018-02-21. Qatar TV is an Arabic Channel from Qatar that broadcasts General programs in Clear mode. If The frequency of Qatar TV given here not working please feel free to notice us.